Show your love and appreciation for your dad — or another special recipient — with one of these four cards, or use the blank template to design your own. Includes ideas for creating a personal message inside! 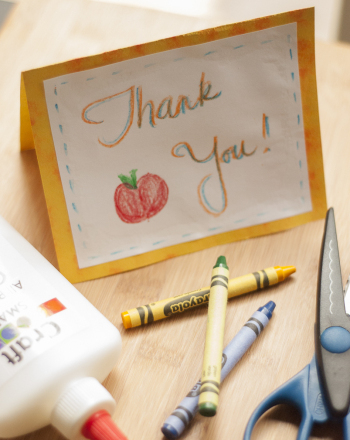 Make special eco-friendly thank you cards using recycled materials to thank your kids' teachers for a wonderful year of school. For all you little fairy princesses, stay classy by sending out thank you cards! Your little one will love coloring and decorating this fairy thank-you. Write a thank you card to your mail carrier for Labor Day. If your child has just had a birthday, send out thank you cards with this adorable template! Your child can colour and decorate his very own thank you. F is for fantastic father! Celebrate dear ol' dad with this Father's Day acrostic poem, a sweet and thoughtful Father's Day present that beats a necktie. Stay sweet during the holiday or birthday season, and be sure to send out thank you cards to friends and family! Learn to say "thank you" for your gifts, with this cute, printable thank-you card! Your little one can colour and decorate the card himself. 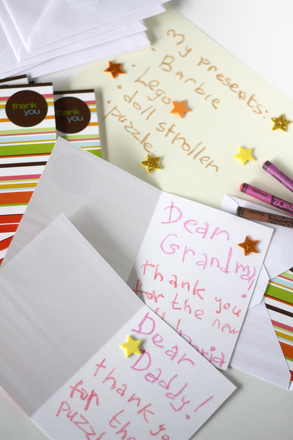 Be sure to help your child write his thank-you cards to friends and family. Get your child into the habit of writing thank you cards, with a cute DIY printable where she'll get to colour the card herself! 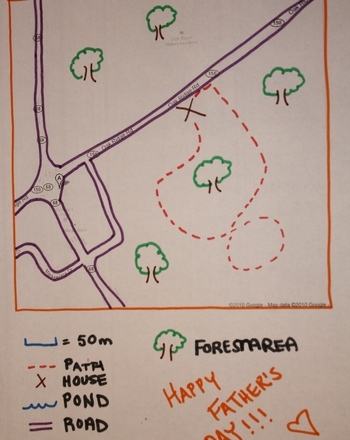 Perfect for dads who love being outdoors, this kid-planned hike is sure to surprise Dad on Father's Day. Gear up for a day of father-son bonding!